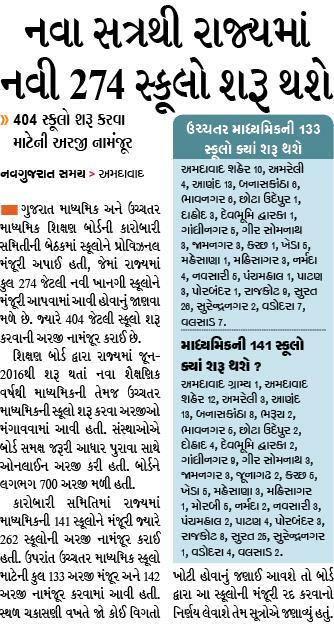 GUJARAT PANCHAYAT SEVA BOARD NI JAHERAT KRAMAK 4/2015-16 STAFF NURSE BHARTI PRAKRIYA BABAT AGATYANI JAHERAT. MATHS-SCIENCE SHIXAKONI PURTI JAGYA BHARATI NATHI. EBC UMEDVAROMATE CRIMILIAR CERTIFICATE KADHAVAVAMA THATO VILAMB. State bank of India (SBI) has published a Advertisement for Vice President, Dy. Chief Technology Officer Posts 2016. The candidate should essentially be a graduate from a recognized University and Candidates who are Chartered accountant / MBA (Finance) are preferred. Application Fees (Non Refundable): Rs. 600/- (Rupees Six Hundred only): Through online. Application Fee once paid will not be refunded on any account. 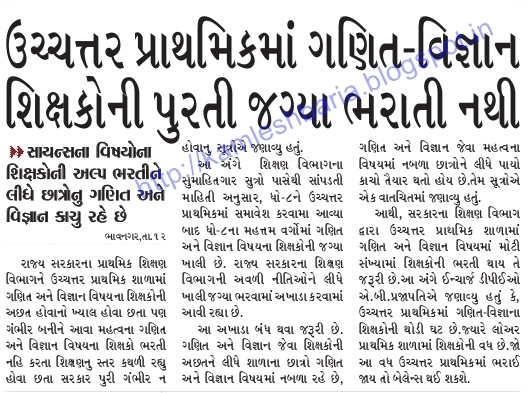 Gujarat Vidyapith, Ahimsa Shodha Sansthan announces Admission in year 2016-2018. M.A. in GANDHIAN STUDIES (Residential Course). 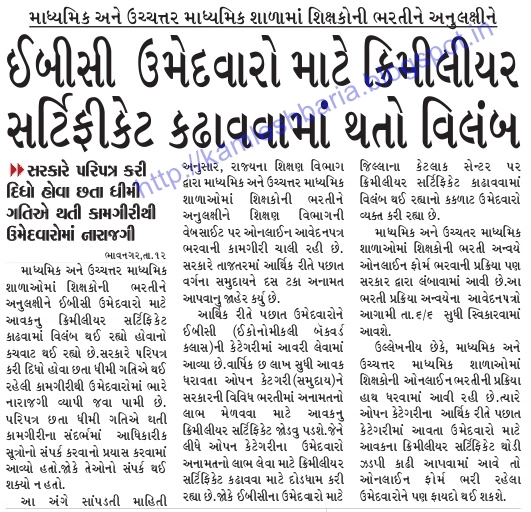 Gujarat Vidyapith Admission Announcement 2016 - 2018 : Gujarat Vidyapith, Ahimsa Shodha Sansthan announces Admission in year 2016-2018. M.A. in GANDHIAN STUDIES (Residential Course). Eligibility : A three year Bachelor Degree (10+2+3) in any discipline or its equivalent with 40% aggregate marks. Total Seat : 50 (Reservation as per UGC Rules). Fellowship :15 (Rs. 4000/- per month). Last date of Application : 15-6-2016. Entrance Exam : 26-6-2016 based on "An Autobiography or The Story of my Experiments With Truth" by M.K. Gandhi. Contact : Peace Research Centre, Gujarat Vidyapith, Ashram Road, Ahmedabad-380014. U.T. Admin. of Dadra & Nagar Haveli , IRBN has published a Advertisement for Sub Inspector, Constable & Other Posts 2016. U.T. Admin. 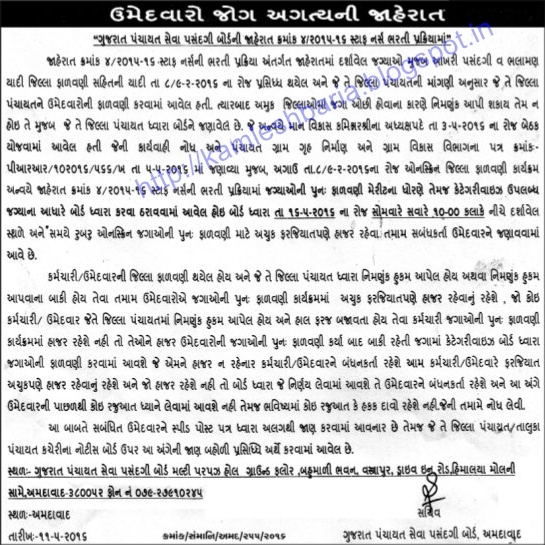 of Dadra & Nagar Haveli , IRBN has published a Advertisement for below mentioned Posts 2016. Other details like age limit, educational qualification, selection process, application fee and how to apply are given below. Graduation or equivalent from recognized university. 10+02 or equivalent from recognized board or university and should pass the skill test only on computer conducted by the department / IRBN (a) English Typing @ 35 w.p.m. (b) in the case of recruitment for the post of hindi, typist, hindi typing @35 w.p.m (time allowed 10 minutes 35 w.p.m. correspond to 10500 KDPH, 30 w.p.m. correspond to 9000 kdph on an average of 5 key depression for each word. Selection Process : Candidates will be selected based on Written test . Address to sent Applications : Commandant, India Reserve Battalion, Silvassa. Last Date : 10-06-2016 at 18:00 hours. GPSC has published Important Advertisement to Download Call Letter for Mains Exam - Deputy Section Officer / Deputy Mamlatdar, Class-3. Note : Candidates who haven't paid their fees can pay fees Rs. 500/- at GPSC Office Between 13-05-2016 to 17-05-2016 in working hours. GSSSB AUDITOR/HISABNISH/TIJOTI ADHIKARI EXAM DATE & CHANGE IN VACANCIES LIST DECLARE. SAURAHTRA UNIVERSITY EXTERNAL MA/MCOM/MAEDU/MAGANDHI SEM-4 Hall-Ticket Download START NOW. 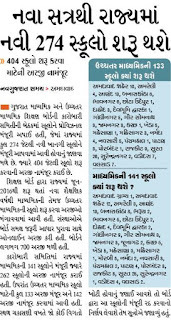 Gujarat Educational News Updates , India news,World News on 12-05-2016.
very helpful to current news in Gujarat and also inform new daily news in Gujarat.we are easily upload in jpg for our readers .we are daily uploadeducational news,Gujarat updates,sport news, India current news,technology news,cricket news in this post.Read Latest Educational News of date 12th May 2016 by Aapnu Gujarat And Also Get Latest Jobs Notification On Our site. now you can get latest educational news given below..